Asus is starting off Computex 2018 on a high-spec note with the announcement of its ROG Phone. Bearing the Republic of Gamers branding and an unmistakably gamer-oriented design, the ROG Phone is Asus’ answer to the Razer Phone. This is the second phone after Razer’s to offer a 90Hz display meaning its screen refreshes 90 times per second, delivering smoother animations and Asus throws in the added bit of gamer pride by powering each ROG Phone with a specially selected 2.96GHz Qualcomm Snapdragon 845 chip. Yes, these will definitely be the fastest Snapdragons around. What we see in this device is a bizarre transplantation of the traditional PC gamer’s aesthetic and performance priorities into the mobile realm. Even as we question who this device might be for, we are also deeply intrigued by its design, customizations, and deluge of gaming-centric attachments.You’ll find the full set of ROG Phone specs in the sidebar, and they’re predictably maxed out. Nobody has offered a phone with more than 8GB of RAM, no one has a faster Snapdragon inside their phone, and other than the Porsche Design variant of the Huawei P20 Pro, I know of no other phone with a 512GB storage option. Asus ticks the “best-specced Android phone ever” box. 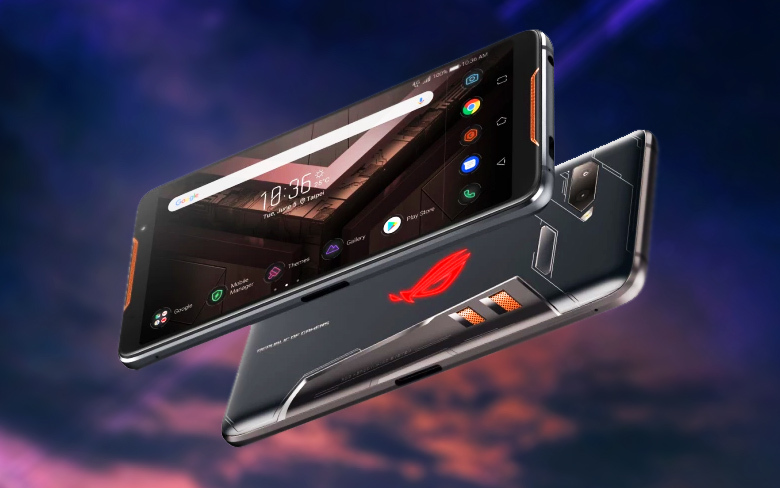 It’s impossible not to be impressed by the sheer amount of thought and engineering that Asus poured into the ROG Phone. This device and its mini ecosystem of gamer-friendly accessories have clearly been in the works for a while. It’s one of the most sincere and ambitious efforts to make Android gaming phones a legitimate category in its own right. We still think the task is an uphill one, but Asus deserves credit for putting its best foot forward.